The video shows the column of several Tigr mobility vehicles and armored trucks driving through the area with their lights flashing. Locals flock to the road to greet the Russian servicemen. 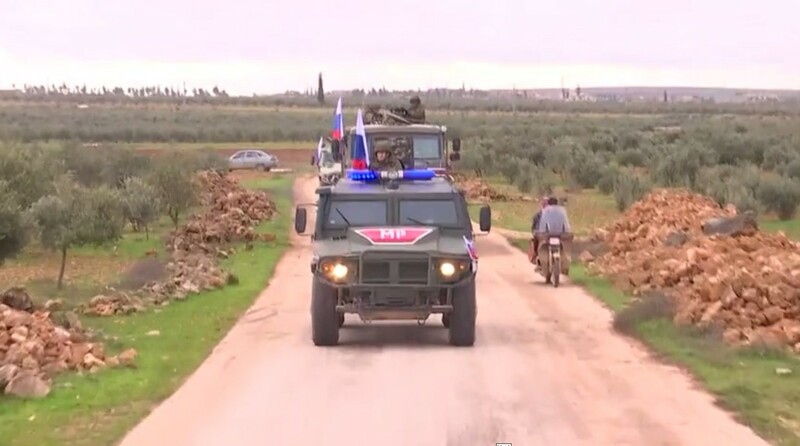 Several detachments of government troops can be seen as well as Syria’s national flags. “Today, we’ve begun to patrol the security zone in the area of the settlement of Manbij and its vicinity. The task is to ensure security in the area of responsibility, to control the situation and movements of armed units,” MP spokesman Yusup Mamatov told reporters. The deployment follows recent changes in the country, prompted by the abrupt US decision to withdraw from Syria that was announced by President Donald Trump in December. The US military has been occupying vast areas in the northeast, supporting the Kurdish-led Syrian Democratic Forces (SDF) militia and its backbone, the People’s Protection Units (YPG). After the US announcement, the Kurds faced a growing threat of a Turkish invasion which has been promised repeatedly by Ankara. Turkey regards Syrian Kurdish-led militias as “terrorists,” believing the YPG to be an offshoot of the outlawed Kurdistan Worker Party (PKK). The latter has been waging an insurgency in Turkey’s southeast since 1980s. Late in December, leaders of Kurdish militias controlling the city of Manbij, which lies close to border with Turkey, struck a deal with Damascus, returning control of the area to the government and letting the Syrian troops move in. Last week, the YPG units began to withdraw from Manbij, heading east across the Euphrates river.